Just because we’re into Fall doesn’t mean that you can’t take your boat out on the water and enjoy a good day out. Just be sure that you and your passengers are safe while you enjoy your adventures. It doesn’t matter if you have a luxury vessel which fits a whole party worth of people, a fishing boat which you use to take your family out onto the water, or a small outboard motor powered boat which just fits you and two friends, safety should be at the forefront of your mind. Synthetics Northwest knows all about keeping your boat’s engine in good shape as well as the importance of marine safety and has some safety tips to share. Too many boat owners take their vessel to the water, look out at the calm seas and think, ‘yeah, it looks good enough. Let’s go!’. The problem with this mentality is that the weather and water conditions can change at a moments notice, leaving you and your passengers stranded in a precarious situation. Before you head out, be sure to check the weather and water predictions and, if possible, speak with your local coast guard or marine authority to get further information. If they or the general weather forecast advises that you don’t go out, then don’t go out. Whether that means rescheduling a family day out or a birthday celebration, the weather has the last word. The last thing you want to happen, should an emergency occur on board your boat, is for half of the passengers to be listening to one person’s directions while the other half listen to somebody else. This is only going to make a potentially small problem worse. Instead, decide on who everybody on board will listen to in the event an emergency or a problem arises. When choosing the person, it’s important to remember that it doesn't have to be the person driving the boat or even the boat’s owner. Instead, choose just one person who is confident they can direct people to minimize problems onboard. Common small emergencies like somebody falling overboard can often happen without warning. Instead of this happening and nobody knowing what to do, resulting in two people throwing in flotation devices which become tangled while three other people jump into choppy and dangerous waters to attempt a rescue, talk about how to react in a situation like this, and any other common problems which can arise while you’re out on the water. Once everybody knows how to act, a small problem like somebody falling overboard can be rectified quickly and without incident, leaving everybody to be safe and continue to enjoy their time. Click here to buy AMSOIL 10W-30 Synthetic Marine Engine Oil and keep your boat’s engine performing at its best and minimize engine damage. To learn more about this and the range of AMSOIL’s high-quality products, check out the online store or don’t hesitate to speak with a friendly expert at Synthetics Northwest by calling (503) 371-7184. Not only can Synthetics Northwest help you find the right marine product, but they can also help you get the best performance out of the vehicle you use to tow your boat. It’s as simple as that. There is no doubt that life jackets are the single most important safety item which you can have on board your boat. Whether it’s an accidental fall overboard or everybody needs to get off the boat and tread water until help arrives. A life jacket is the item which is going to save them. As you are counting your passengers and life jackets, it’s important to remember that adult and children’s life jackets are not interchangeable. That is to say, you can’t count an adult as having a life jacket available if it’s a kids one, and vice versa. Whether you need to hire one from your local boating store or buy a new one, do what you have to, to ensure everybody on board has an appropriate life jacket available to them. 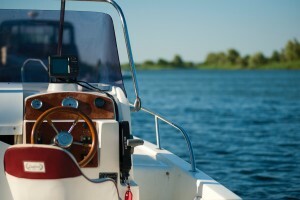 Sure, there aren’t any other boats in close proximity like when you drive on the road (with cars, not boats), but that doesn’t mean that you can afford to become intoxicated while operating your boat. Especially with passengers on board. When deciding on how much alcohol you will drink, remember that you need to keep a clear head to both operate the vessels safely and act responsibly in the event something goes wrong. If you aren’t sure how much you can drink, consider using a similar gauge to when you decide if it is safe for you to drive your car. Both your boat’s engine and the engine inside the vehicle you use to tow it can benefit from a synthetic oil change. Whether it’s improved performance, lower gas usage, or minimizing engine damage, a synthetic oil change in Salem, OR can help. To find out more about the benefits of a synthetic oil change Salem, OR or for help finding the right product for the job, pick up the phone and call Synthetics Northwest at (503) 371-7184. With access to a wide range of high-quality AMSOIL products, trust in their expert advice to get you the right engine oil for the job.